The Y7 was designed by T.W. 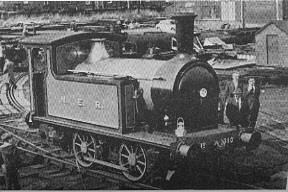 Worsdell in 1888, to replace the various Manning Wardle 0-4-0 saddle tank shunting locomotives used by the NER. The first batch was for six locomotives, and proved a great success. Their simple, bare design easily navigated the tight curves and poor quality track which they ran on. The Y7 proved so successful, that the NER ordered a further ten in 1891 and three in 1897. These were followed by a final batch of five ordered by the LNER in 1923, to replace Y7s which had been sent to the Alexandra Docks in Hull. Although the Y7s are often considered not to have a bunker, they did have a small 6.25wt bunker at the rear of the left water tank. The base of the bunker opened out into the cab, allowing easy access to the coal. 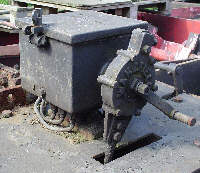 This coal space was balanced in the right tank by the space required to accommodate the reversing gear's movement. The bunker would typically be covered with coal, giving the appearance that coal was simply piled on top of the left side tank. Although coal would sometimes be also piled on the right side, this space was usually reserved for the fire irons. Most of the Y7 duties were limited to Tyneside, Hull Docks, and the Darlington North Road Works yard. 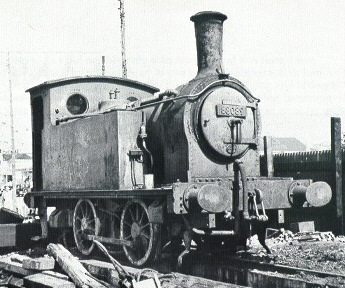 The two Darlington North Road Works engines were initially listed as Service Stock, but they were transferred in August 1926. By the late 1920s, the Depression led to a reduction in dock work. Also the new Sentinel Y1 & Y3 shunters had lower labour costs with their one man operation. Therefore the sixteen locomotives from the first two batches were withdrawn between 1929 and 1932. Nine of these were sold to industrial users. The Y6s shared their simple domeless boiler design with the J78 and J79 classes. No. 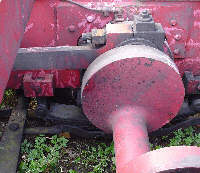 1303, allocated to Tyne Dock, was fitted with four shunting poles - one at each corner. 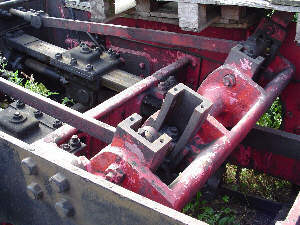 These were used to move wagons on adjacent tracks. On withdrawal in November 1932, these poles were fitted to Sentinel Y3 No. 154. There is evidence that the other Y7s at Tyne Dock were fitted to accept these poles, and that the poles were moved between locomotives as required. Two Y7s survive into preservation and both are in running condition. No. 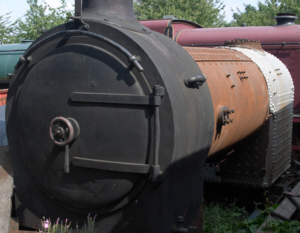 1310 is preserved at the Middleton Railway, where it has proved to be a popular locomotive over the years. 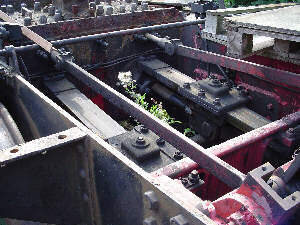 The accompanying images were taken in August 2005, and show some of the parts of No. 1310 awaiting a major overhaul. No. 985 (BR No. 68088) was sold in 1952 to the NCB's Bentick Colliery. The NCB withdrew it from service in 1964, and it has since been preserved. No. 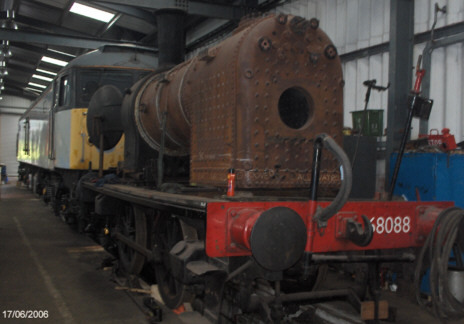 68088 is currently based on the North Norfolk Railway where it was recently overhauled. Finney and Smith produce a 3mm scale kit of the Y7. Connoisseur Models produce kits of the Y7 for 4mm scale (OO gauge) and 7mm scale (O gauge). 4mm scale (OO gauge) kits are also produced by Barnfield, Nu-Cast, and Alexander Models. Thank you to Sheila Bye, historian of the Middleton Railway in Leeds, for a personal tour of the Middleton's locomotive stock and letting me take the above pictures of No. 1310. Thank you to Rob Marsden for the photograph of No. 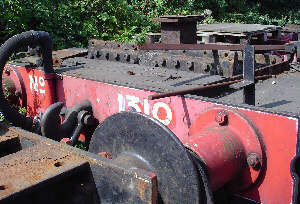 1310's boiler, also taken during the same visit to the Middleton Railway. Thank you to Michael Allen for the above photograph of preserved Y7 No. 68088 at the North Norfolk Railway. Thank you Malcolm Peirson for the photograph of BR No. 68089.